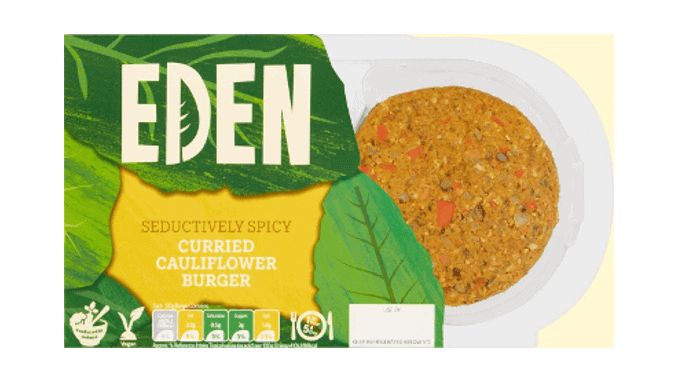 EDEN, a new vegan and vegetarian Irish food brand, promises sustainably produced chilled food products made with 100% natural and wholesome ingredients. The product range includes different burgers (£2.50) and bite-sized versions such as the Curried Cauliflower Burgers made from cauliflower, sweet potato, turmeric and additional spices. EDEN’s sausages (£3) are based on soy and wheat protein alongside a special combination of plant-based fats and spices. The juicy flavour of the products derives from steaming instead of frying them. The EDEN range will be available in select Sainsbury’s stores from the 15th May 2019.